Andy and Jennifer Gill from Fife in Scotland tell the story of their "gorgeous boy" Oliver who was with them for five and half months from July 10th to Christmas Day 2010. In his short life he had gathered 2400 friends on Facebook alone. Oliver was born with a rare and an aggressive form of cancer - Congenital Rhabdoid Tumour yet he bravely faced this cancer with a gorgeous smile. For his mum and dad, family and friends this was indeed a deeply traumatic time but also it brought many blessings as so many people of all ages from across the world prayed. 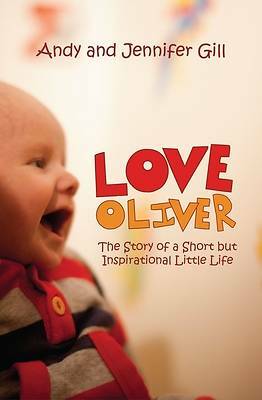 Not only that but Oliver made a lasting impression on people through his courage. This book follows the journey of the joys and the sorrows recognising that there is an all-powerful and loving God who is in control, even in such circumstances.